The battle for and against fluoridation of the public water supply has entered a new phase. Three things have happened since I researched and wrote "Fluoride Follies" five years ago. In their efforts to have all the community drinking water in the U.S. fluoridated, promoters of fluoridation are taking a different tack. Rather than grapple with community-level politics and local referendums on this matter, they are increasingly targeting state legislators and are pushing for statewide mandates to fluoridate the public water supply. A second development has inflicted a chink in the Federal Government’s armor against antifluoridationists. The Office of Drinking Water in its Environmental Protection Agency (EPA) commissioned the government’s National Research Council (NRC) to examine the toxicology of fluoride. It was commissioned to assess the EPA’s 4 ppm (parts per million) maximum contaminant level goal, along with its 2 ppm secondary maximum contaminant level, a level set to keep children from having unsightly dental fluorosis, where white specks form on teeth, and with further fluoride exposure become confluent and turn brown. The council’s 506-page report was published in 2006. It unflinchingly faces up to the health-damaging effects of fluoride in public water. The third development is the publication, in September 2010, of The Case Against Fluoride: How Hazardous Waste Ended Up in Our Drinking Water and the Bad Science and Powerful Politics That Keep It There by Paul Connett, PhD, the director of the Fluoride Action Network; James Beck, MD, PhD, Professor Emeritus of Medical Biophysics at the University of Calgary, Canada; and H. S. Micklem, DPhil, Professor Emeritus in the School of Biological Sciences at the University of Edinburgh, UK. 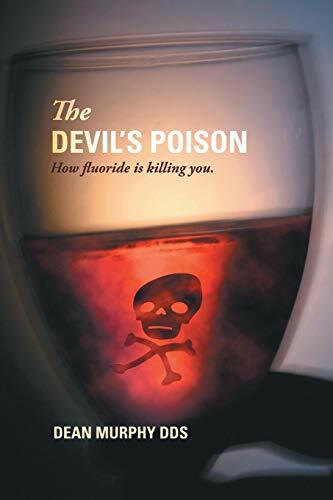 The Case Against Fluoride is well-written, which makes it easy to read; and it is comprehensive, citing more than 1700 references, pro and con, dealing with fluoridation of public water. 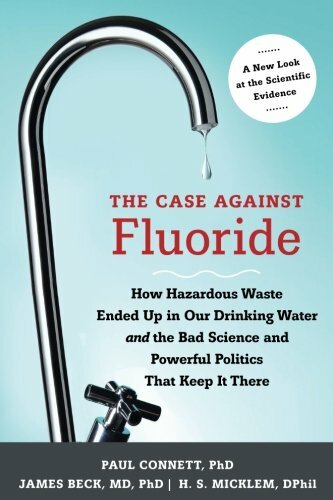 This book is the ideal litigator’s brief for prosecuting the case against fluoride. Most Americans, 269 million in a population of 304 million (88.5 %), get their water from public water systems, and 196 million (72.4 %) drink — and bathe and wash their clothes with — fluoridated water. Maryland is the most heavily fluoridated state, where 99.8% of people use fluoridated public water, followed by Kentucky (99.4%), Minnesota (98.8%), North Dakota (96.4%), Illinois (95.4%), and Indiana (94.5%) (The District of Columbia, appropriately enough, is 100 percent fluoridated.) Hawaii (at 10.8%), New Jersey (13.6%), Oregon (27.4%), and Louisiana (28.3%) are the least fluoridated states. These statistics are for 2008, the most recent ones available on fluoridation. That year, in Louisiana, the legislature approved and the governor signed into law an Act that requires all community water systems in Louisiana having 5,000 or more customers (some 110 systems serving 2 million) to fluoridate their water. Meanwhile, there is growing evidence that shows fluoride damages health. The National Research Council (NRC) report published in 2006, Fluoride in Drinking Water: A Scientific Review of EPA’s Standards (available free online HERE) is the first one in the 65-year history of fluoridation that examines fluoride in an open-minded and unbiased way. Charged with carrying out a government-stipulated once-every-decade review of EPA’s fluoride standards, the council’s panel of reviewers examined not just epidemiologic studies but also biochemical and animal studies and clinical trials. The report cites over 1,100 references. The panel concluded that the EPA’s maximum and secondary maximum contaminant level goals for fluoride, 4 ppm (4 mg/Liter) and 2 ppm (2mg/L) respectively, are "not protective of public health," particularly with regard to three things: dental fluorosis; skeletal fluorosis, which causes chronic joint pain and arthritis imitating osteoarthritis; and fractures. Among the many studies the NRC panel reviewed, for example, one showed that elderly people have a 3-times greater chance of having a hip fracture drinking water with a fluoride concentration of 4.4 ppm; and another one indicated that even a 1.5 ppm concentration, close to that used in public water, is associated with a possible doubling of hip fractures. These courageous government-appointed NRC reviewers also concluded that "fluoride appears to have the potential to initiate or promote cancers." The  Case Against Fluoride cites several other important health studies on fluoridation done since the publication of the NRC report in 2006 that support its findings. Concerns about these 2 and 4 mg/Liter maximum contaminant levels are relevant to people drinking and using fluoridated water at 1 mg/L. Even people who live in non-fluoridated communities consume, on average, 4 mg of fluoride a day. It is in toothpaste, fruit juices, soda pop, tea, and processed foods. People living in fluoridated areas consume twice as much fluoride, 8 mg/day. Fluoride is absorbed through the skin, bathing and wearing clothes washed with fluoridated water. It is also possible that you could inhale aerosolized fluoride and absorb it through the lungs when taking a shower with fluoridated water. It is estimated (no direct measurements have been done) that two-thirds of the fluoride people take into their bodies using fluoridated community water comes from bathing and wearing clothes washed in it. Athletes and people working in hot climates who drink a lot of water, people with kidney failure, and infants who are fed formula with fluoridated tap water are at particular risk for being subjected to a potentially toxic daily dose of fluoride. Four years have elapsed since the NRC recommended that the EPA carry out more studies and consider lowering its 2 mg/L and 4 mg/L fluoride maximum concentration level goals. So far nothing has been done. This agency’s response to the NRC’s unwelcome news on fluoride brings to mind an observation Winston Churchill made about such things: "Men occasionally stumble over the truth, but most pick themselves up and hurry off as if nothing had happened." "When the fluoridation of drinking water began, there was little evidence for its long-term safety, and since then little attempt has been made to monitor its health effects systematically. Because there are so many unanswered health questions, fluoridation of water must be considered an ongoing experimental procedure, and as such it is a violation of the Nuremberg Code, which forbids experimentation on humans without their informed consent. Only a minority of countries practice fluoridation. In Europe, nearly all countries either have never fluoridated their water or have ceased doing so. Yet the incidence of caries has declined just as much in those countries as in countries that practice fluoridation." 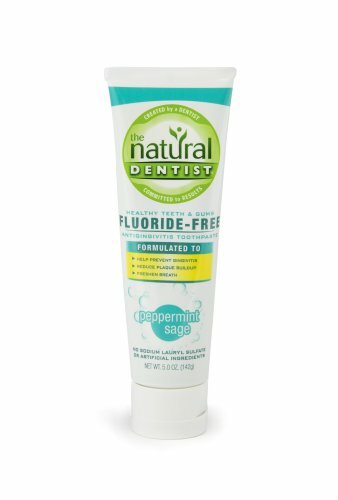 The Case Against Fluoride next marshals evidence indicating that fluoridation is ineffective in its intended purpose of preventing tooth decay, then it recounts the history of what the authors call "The Great Fluoridation Gamble," followed by a section on how fluoride harms health. Four chapters are devoted to explaining, in turn, how fluoride harms the brain, the endocrine system (especially the thyroid gland), bone, and kidneys. Another one analyzes evidence that fluoride causes osteosarcoma in young boys. In the chapter on fluoride and the brain, the authors write, "There have also been twenty-three studies indicating a lowered IQ in children associated with levels as low as 1.9 ppm fluoride in drinking water." The chapter on the endocrine system finds that fluoride causes hypothyroidism and goiter, by a variety of biochemical mechanisms, and notes that the second most widely prescribed drug in fluoridated America was levothyroxine (Synthroid), for impaired thyroid function. Fluoride poisons enzymes, particularly those in bones, which contain 99 percent of the fluoride in the body. With its enzymes poisoned by the fluoride stored there and unable make the collagen needed to keep bones healthy and strong, they become brittle and weak. The Case Against Fluoride makes a strong case that the 1 mg/Liter (1 ppm) concentration of fluoride added to community water can wreak widespread deleterious effects in multiple organ systems. For the last 30 years the fluoride used to fluoridate community drinking water is not pharmaceutical grade sodium fluoride, or naturally occurring calcium fluoride, but untested silicofluorides — hexafluorosilicic acid and its sodium salt, sodium hexafluorosilicate. These fluoridating agents are waste products of the phosphate fertilizer industry and contain trace amounts of arsenic and lead. Fertilizer plants sell these unpurified silicofluorides to municipal water systems at a profit, rather than, at considerable expense, having to dispose of them as toxic waste. In a court trial against fluoride, the judge presiding would stop pro-fluoridationists from making ad hominem attacks that focus on the character of the opposing witness instead of the evidence at hand; and proponents of fluoridation making repeated dogmatic assertions that fluoridation is safe and effective would be subject to cross examination. An attorney using The Case Against Fluoride as her brief in prosecuting the case against fluoridation would most likely obtain a criminal-level verdict of "beyond a reasonable doubt." "This empty phrase is parroted so many times by pro-fluoridation officials and dentists at meetings considering fluoridation that one begins to wonder if they receive some kind of commission every time it is uttered! Be that as it may, mechanically repeating a phrase, no matter how often, without backing it up with solid supporting evidence does not make it true." With solid evidence now showing that fluoride placed in public water is not safe, health authorities nevertheless still continue to promote fluoridation of community drinking water. The American Medical Association (AMA) says, "The AMA recognizes the important public health benefits of drinking properly fluoridated water and encourages its member physician and medical societies to work with local and state health departments, dental societies, and concerned citizens to assure optimal fluoridation of community drinking water." The American Dental Association (ADA), in its statement on the subject, reminds us that "Studies conducted throughout the past sixty years have consistently indicated that fluoridation of community water supplies is safe and effective in preventing dental decay in both children and adults." The American Heart Association assures us that "no evidence exists that adjusting the fluoride content of public water supplies to a level of about one part per million has any harmful effect on the cardiovascular system;" and the American Cancer Society claims that "scientific studies show no connection between cancer rates in humans and adding fluoride to drinking water." But none of these accolades can top the Federal Government’s Centers for Disease Control and Prevention (CDC). The CDC has proclaimed fluoridation of community drinking water one of the ten great public health achievements in the 20th century. Starting in the 1940s with World War II, vast amounts of fluoride were needed to make atom bombs (using uranium hexafluoride to separate the fissionable uranium-235 isotope from the nonfissionable uranium-238 isotope), and emitted as toxic waste in the metal industries, especially smelting aluminum used to make airplanes. Fluoride emissions from these industries were killing crops and livestock and lawsuits loomed. 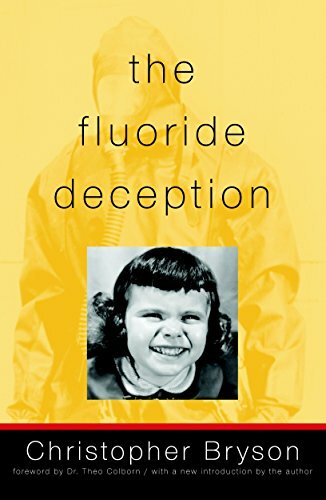 Pushed partly as a matter of national security, the government painted a happy face on fluoride and convinced health policy makers and medical and dental leaders to approve putting it, well diluted, in public drinking water (for more on this part of the story see "Fluoride Follies"). How can health authorities continue to be wrong about fluoride? For 65 years? And for the last 30 years using a non-pharmaceutical-grade of fluoride taken unaltered and untested from the smokestacks of the phosphate fertilizer industry? The truth is such things are not as improbable as one might think. This is not the first time that authorities have been so wrong about the safety and effectiveness of what was considered to be a therapeutic element. Before fluoride it was mercury. Mercury was used to treat a variety of conditions ranging from cuts and scratches to syphilis. It was considered to be safe and effective. Older Americans reading this can call to mind the little reddish-brown bottle of mercury-laden mercurochrome used to treat the odd cut or scratch. But even with syphilis, bad as that disease is, treating it with mercury proved to be worse than the disease itself. Finally recognized as the poison it is, medications containing mercury are no longer used, except, sad to say, mercury is still used in some multi-dose vaccines as a preservative. Likely what happened with mercury, however, will also happen with fluoride. As Upton Sinclair notes (with additions): "It is difficult to get a man [e.g., fluoride proponents] to understand something [the fact that fluoridation of public water is neither safe nor effective] when his salary [, reputation, and power] depends on his not understanding it." One hopes that Americans will come to see fluoride, like mercury before it, as the poison it is and demand that municipalities stop fluoridating their water. With The Case Against Fluoride: How Hazardous Waste Ended Up in Our Drinking Water and the Bad Science and Powerful Politics That Keep It There now in public hands, along with the NRC’s Fluoride in Drinking Water: A Scientific Review of EPA’s Standards, government officials, the fertilizer industry, and misguided doctors and dentists pushing for statewide fluoridation of public water supplies will be stopped, and likely sued. The health of Americans will be substantially improved once fluoride is removed from their water.